One tool to fix 100+ iTunes errors and issues, including install/update/connect/restore/backup and other issues. Optimize iTunes Performance.No data loss during the whole repairing process. Fully compatible with all the iTunes versions, including the latest 12.9. No matter know or unknown iTunes errors that you met,iSkysoft Toolbox - iTunes Repair would help you boost your iTunes back to normal in seconds without special technical skills. If you can't download iTunes on your Windows PC, safely fix iTunes Download Error with iSkysoft Toolbox - iTunes Repair. The most effective way to fix “iPhone Cannot Connect to iTunes”, “iPhone not connecting to iTunes” issue. 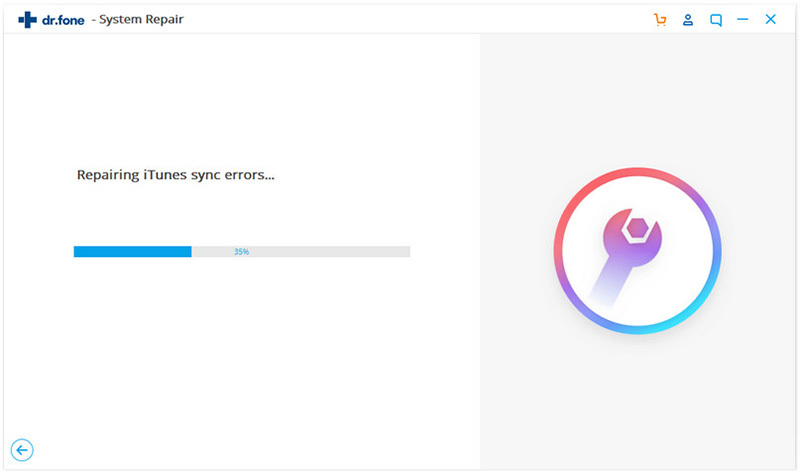 If your content doesn't sync, an efficient way is provided here to fix iTunes syncing error. 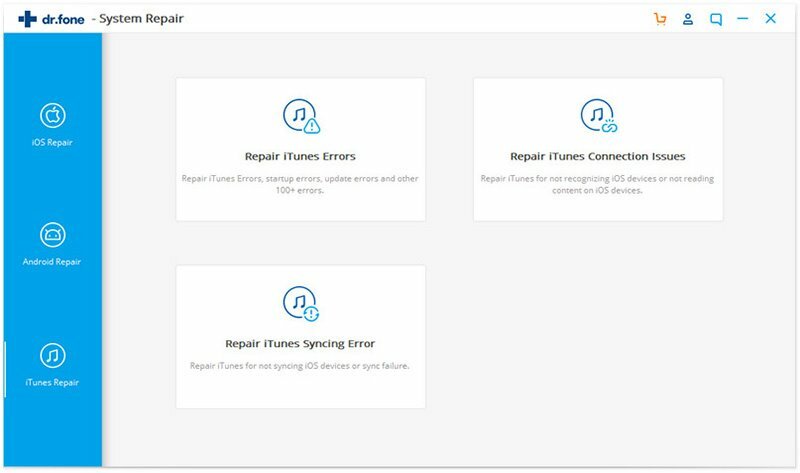 With the right iTunes repair tool, you don't need to worry ff you can't install iTunes on your Windows PC. 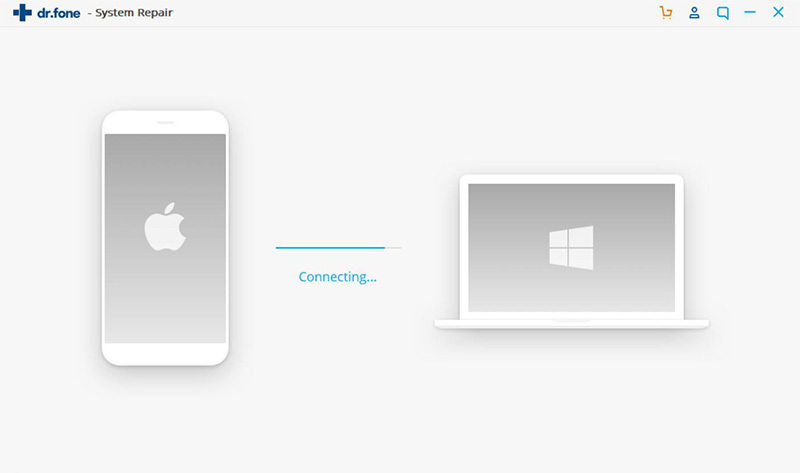 Learn what to do if you experience iTunes updating issues on Windows 10/8/7. With the release of Windows 10, some people are having problems getting iTunes to work correctly. Repair iTunes backup corrupt issue as well as fix various other iTunes errors and issues. 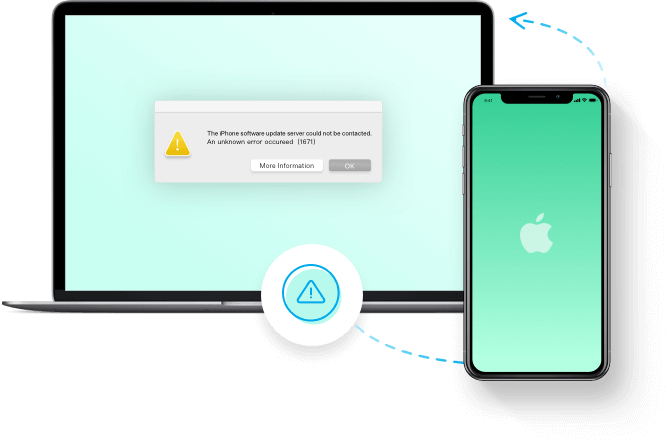 End up the iTunes Errors that always annoy us when trying to restore or update iPhone. iTunes gets stuck on the "waiting for items to copy"
Step 1: Launch iTunes and connect your phone to computer. Step 2: Choose the corresponding issue and click Start the begin the fix process. Step 3: Waiting for the process to finish. iSkysoft Toolbox - Repair (Android) which fixes almost all Android system problems without special technical skills at home. this is the most recommended app. It helped me getting rid of that annoying black screen. my iPhone used to get stuck while updating to iOS 10.4, this tool repaired the problem and I got the latest version now! Recommended! My frozen phone has been successfully recovered with the help of this tool. Thanks a ton! I was so discouraged when my iPhone stuck in black screen of death. But then came iskysoft. Thanks so much. Using this software, the system recovery is done faster as compared to any of the softwares. My iOS system failed and could not be recovered in spite of so many efforts. This software recovered the decvide quickly. iTunes Error 4005 when Restoring iPhone?